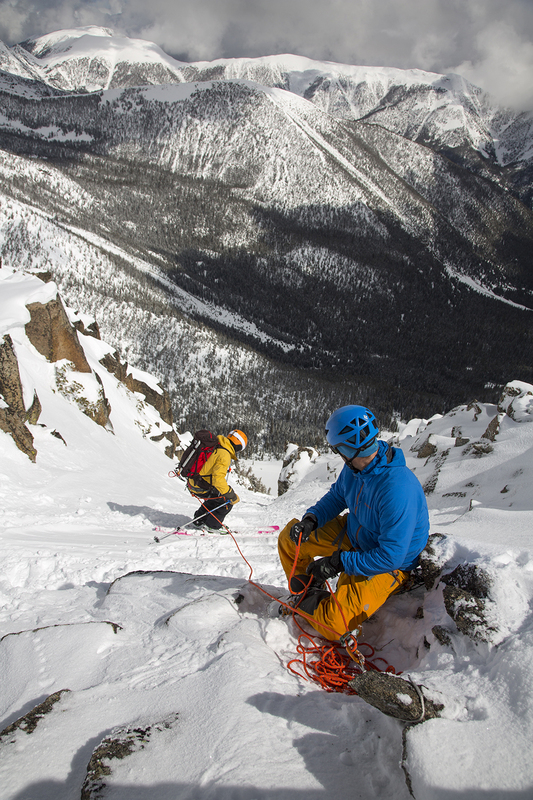 Take your skiing and riding to the next level with Big Sky Backcountry Guides! Springtime at Bell Lake Yurt in the high and wild Tobacco Root Range is the perfect time and place to learn ski and snowboard mountaineering techniques. 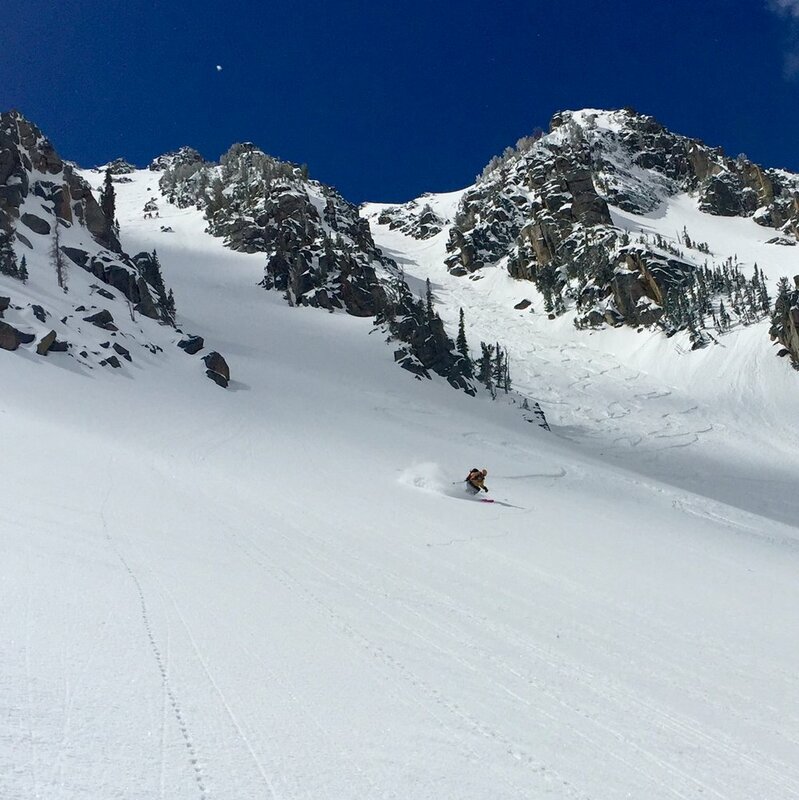 You’ll learn important skills such as steep snow travel (ice axe and crampon techniques), belaying and rappelling, and anchor building--then apply what you've learned in our famous couloirs, getting to our classic summits, and traveling across 14,000 acres of exclusive terrain. We can accommodate skiers and riders with a variety of skill levels, from budding ski mountaineers to technical die-hards--everyone will walk away with new skills and new lines under their belts. 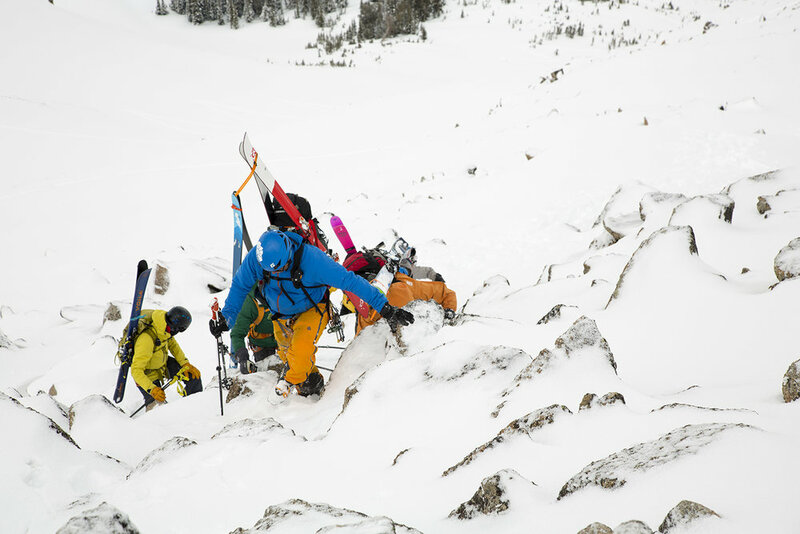 Over four days and three nights, our team of experienced guides will share the techniques, skills, and attitudes required to safely venture into more technical ski terrain. Price includes professional guiding and instruction, three nights at beautiful Bell Lake Yurt, all snacks, beverages and delicious, homestyle meals, and tons of skiing. And with a maximum class size of eight (vs. up to 16 in other courses), students receive personalized attention and the best quality experience possible, while meeting like-minded skiers and riders. Guests will need: touring, telemark, or splitboard gear; avalanche rescue gear (beacon, shovel, probe); a sleeping bag, helmet, climbing harness, ice axe, boot crampons, and ski crampons. Some gear rentals are available through Big Sky Backcountry Guides, and we're happy to help set you up for success. Please call 406-581-5754 for details. NOTE: Good fitness, previous ski touring experience, and expert downhill skiing ability (black diamond) are required. Click the Dates Below to Register!! Courses and camps require full payment at time of booking. Courses are non refundable, unless your position in the class can be filled. An $80 administrative fee will be assessed to all refunds. Payments may be made via MasterCard or Visa--sorry, checks are no longer accepted. Rates do not include 3% CC processing fee or guide gratuity.